Carrara White Herringbone Pattern 1x2 Honed. 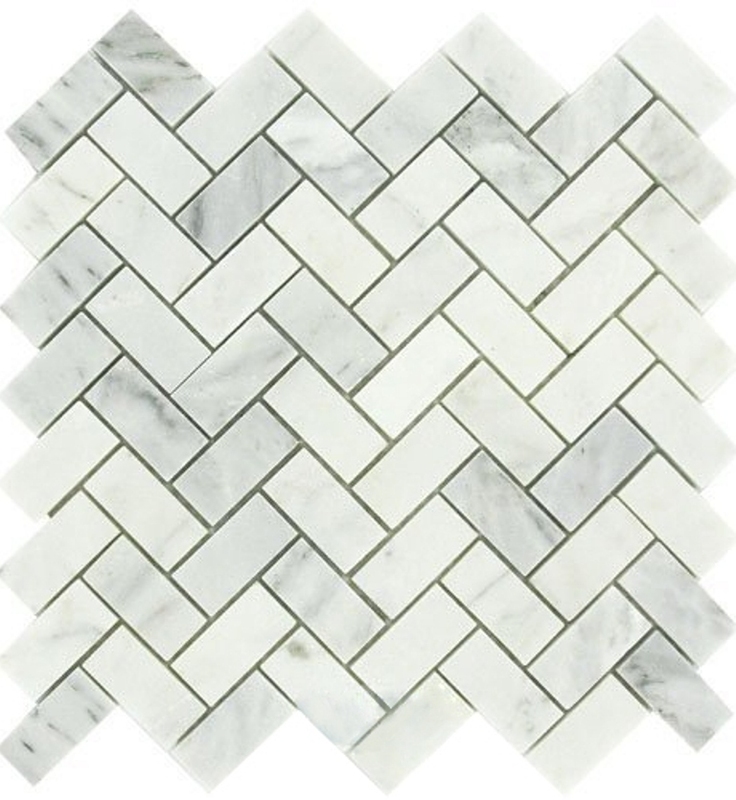 SOLD BY BOX OF 10 TILES / 10 SQ FT.
Carrara White Herringbone Pattern 1x2 Honed Marble mesh-backed tiles are elegant and understated in their whites and grays. These honed 12x12 mosaic tiles are ideal for interior wall applications in bathrooms and kitchens and other design features.